There was just one bright spot from the heavy defeat of Campbelltown Camden Ghosts at the hands of Western Suburbs on the weekend. 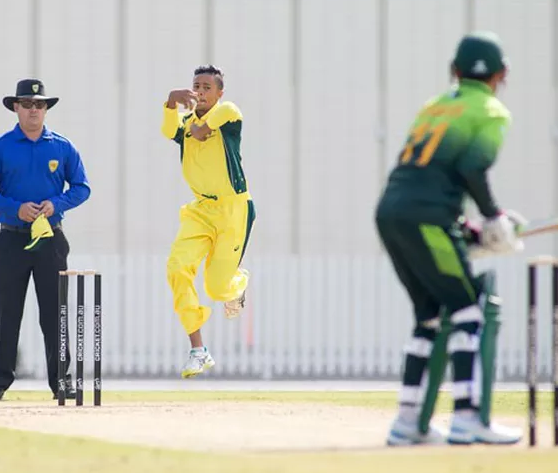 Teenage leg spinner Tanveer Sangha picked up a total of eight wickets in the match, four from each innings, to confirm his status as a rising star of Australian cricket. His excellent performance though could not prevent the Ghosts from being defeated outright after making just 309 runs from two innings. The first innings scoreboard in particular makes for some uncomfortable reading for the Ghosts, who batted first on Saturday at Pratten Park, Ashfield. Just three batsmen reached double figures as the Ghosts compiled just 123 runs when the last wicket fell. Teenage leg spinner Tanveer Sangha picked up eight wickets. Phil Wells (31), Oliver Robinson (38) and Jake Cormack (23) offered some resistance on a wicket that obviously favoured the bowlers. Four batsmen were out for ducks and another four did not reach double figures, with scores of 5, 6, 8 and 8. In another elling statistic, two Ghosts wickets fell on 115 and the last three on 123. Wests responded with 166 in their first dig, but it was enough of a lead to help them win outright. Tanveer Sangha bagged four wickets with Luke Webb chiming in with three scalps. In their second innings the Ghosts made a small improvement, reaching 176. But it meant setting the home side just 134 for victory, and that was never going to be enough. Ghosts’ openers Jordan Browne and Aaron Yabsley put on 43 for the first wicket, but it was mostly downhill from then on. The home side needed just under 32 overs to score the 134 runs needed for outright victory, losing five wickets along the way. Sangha picked up four of the wickets to fall. Ghosts have slipped to 13th on the ladder, but are only an outright win out of the top six. They are on the road again in round 11, heading to the inner city to take on Sydney University in a limited overs clash this Saturday, January 26.